As per Wikipedia; “Robo-advisors are a class of financial adviser that provides financial advice or portfolio management online, with minimal human intervention”. 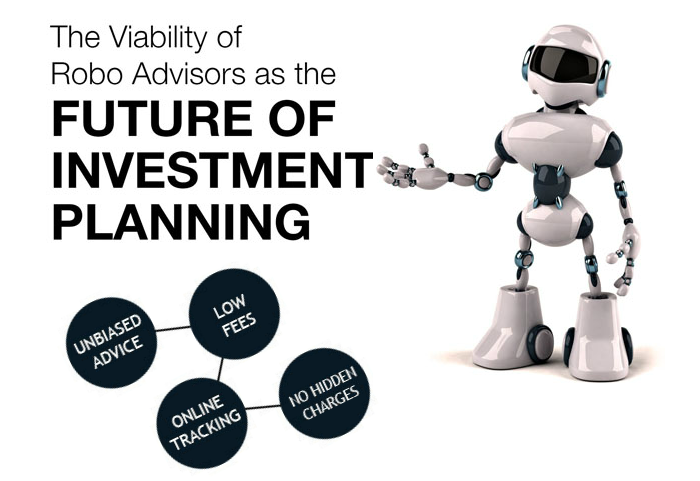 Most Robo-advisors employ algorithms, where automated investment solutions come out as output, based on customer’s data points; towards cash flow, future goals, risk tolerance, current investments etc. Logic & working of these algorithms, which can be simple to complex, depends on the solutions offered to various category of customers, which also depends on firm’s/ founders experience & expertise.